Blushes You Need In Your Collection. | By Millie. Blush is definitely a makeup step I don't like to miss. 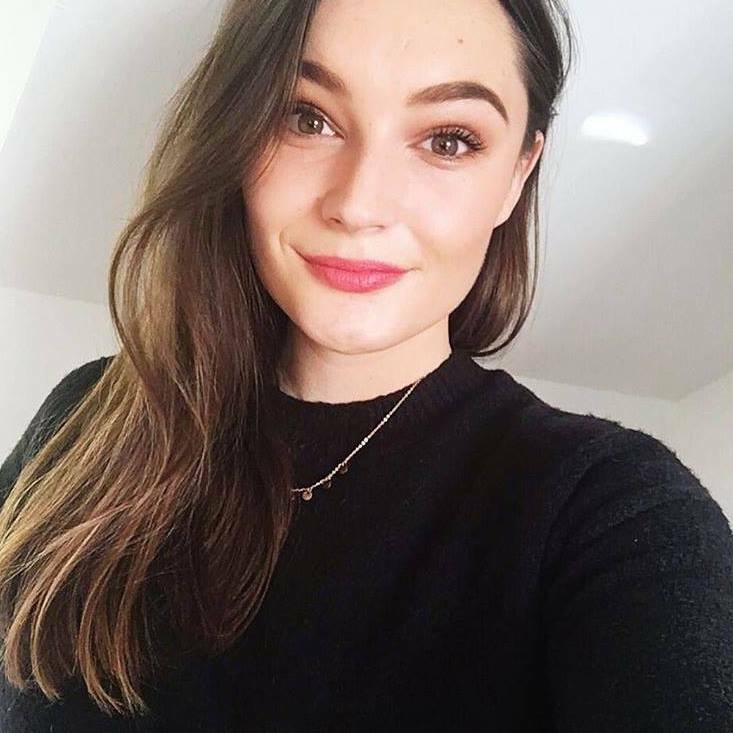 It can do so much for your complexion, it can make you look 10 times healthier, beautifully flushed and I just love how far a little bit of blush can go. I have a fair few shades in my collection and I switch between them all the time. I recently picked up a new one from Hourglass which spurred this post on, I think the shade is stunning, but more of that in a minute. I have a few others I have been obsessing over, so here they are. Hourglass Dim Infusion Ambient Lighting Blush: These blushes are a work of art in my opinion. Everything from the casing, to the product itself, looks beautiful and definitely super luxe. This is a very light, peachy coral toned blush with an added dose of glow to make your cheek bones really stand out. On initial application, it's quite subtle, but you can definitely build it up to a more bold coral shade. I love that about the Hourglass products. The formula is really lovely, it's finely milled and blends so well over your base. Laura Mercier Blaze Creme Cheek Colour: I have been very into cream blushes lately, so I had to include one in today's post. They add such a natural glow to the cheeks, something which can be harder to achieve with powders. In the summer I'm also a huge cream makeup fan, so this blush is a winner for me. The shade is very universally flattering and a perfect one to reach for if you just want a little something on the cheeks. It's not a bright shade, very dulled down and muted but does add a lovely natural flush to the face. I use this with a stipple brush and I find it applies seamlessly. If you're not hugely into blushes, I think you'll like this. Nars Lovejoy Powder Blush: I really wanted to try a Nars blush for so so long, and when I took the plunge I wanted a shade which I don't hear everyone talking about. Lovejoy was the one I went for a it's so beautiful. It's a super warm, slightly copper toned blush which works amazingly all year round to warm up the complexion. It has that flex of rose gold throughout as well, so it adds a nice sheen to the cheeks without being too shimmery. Sleek Rose Gold Powder Blush: Speaking of rose gold, this blush was definitely a summer favourite of mine. It's a pinky peach base, with rose gold shimmer. It's the brightest of the bunch, but August isn't over just yet so there's still plenty of time to pay this one some attention. Sleek blushes are really great for the price, they blend very well and are packed full of pigment, a little goes a long way. 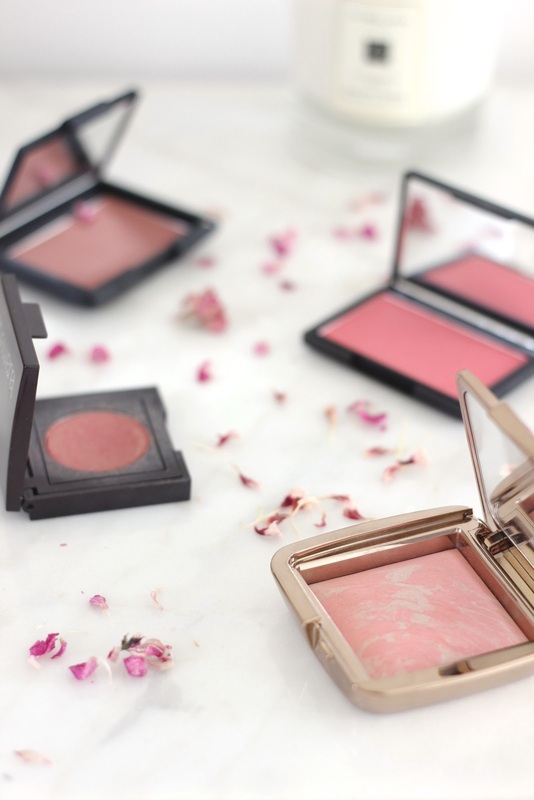 I love Hourglass powders but I have never tried their blushers, this one looks gorgeous though!